Helping homeowners successfully diagnose and treat a water quality problem requires technical know-how and experience, a solid understanding of water chemistry, and a knack for troubleshooting. And as illustrated in the case study below, it demands a willingness to do whatever it takes to get to the bottom of the issue. About a year ago, the Secondwind team installed a water softener for a Mont Vernon home with high iron, manganese, and chlorides. The water was causing stains on the homeowner’s fabrics, fixtures, and more. The customer, who was actually in the midst of selling the home, was in a panic. She always had quality water, and now here she was, trying to restore it so she could close the sale. While the new system successfully treated her hard water problem, we told the homeowner that she may need additional equipment in the future because of the complexity of her water issues. Tannins in the drinking water. Flash forward to this year, when we received another call from the customer. She reported that her water quality was as bad as it was before the softener was installed. We retested the water and found that the iron and chloride levels were more than double what they were before. The water, which had taken on a faint yellow color, had an unpleasant odor and aftertaste. Based on our site assessment and water sampling results, we determined that the well had surface water intrusion, which allowed tannins to seep into the water. These contaminants—related to the decomposition of organic materials, including plants, trees, and dead animals—discolored her water, causing it to have a horrible aftertaste. However, given the circumstances, the water softener we installed was actually doing a great job on the iron. Instead of telling her to invest in additional water treatment system components, we recommended that she get her well evaluated. “We met up with Jeff from Contoocook Artesian Well to ‘camera’ the well, and low and behold—at roughly 38 feet down, we found a small fissure spitting water into the well,” explains RJ Brown, Certified Water Specialist at Secondwind. The team attached a water sampling bottle to the bottom of the camera and lowered it back down the well, collecting a sample. “We tested the water and learned that it had the same EXACT composition as the water that was causing their problem,” Brown explains. All they needed to do was use a repair sleeve to fix the leak in the steel well casing. “We know from experience that if a customer has tannins in her water, she very likely has a problem with her well and may or may not need a water treatment system,” Brown explains. 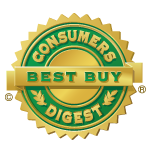 “This underscores the importance of having a reputable water treatment company like Secondwind to thoroughly evaluate your specific water issues and make an honest recommendation,” he adds. When water passes through peaty soil and decaying vegetation, it takes on a faint yellow to tea-like color, which can cause staining on fabrics, fixtures, and more. Although tannins can make your water look, taste, and smell awful, they’re considered an aesthetic problem that presents no threat to your health or safety. Tannins are more common in wells supplied from surface water, lakes, or rivers. Also, water in shallow wells around marshy, low-lying, or coastal areas is more susceptible to tannins. If you’re concerned about the aesthetic quality or safety of your drinking water, contact the Secondwind team for a thorough evaluation. 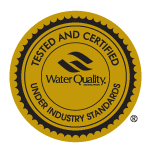 As New Hampshire’s leading provider of commercial and residential water treatment systems, we have extensive knowledge and experience with our state’s water landscape. Chances are, we’ve already treated your neighbor’s water quality problems.